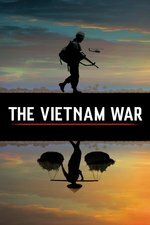 Nixon's Vietnam Treachery: The New York Times has published excerpts from Richard Nixon aide H.R. Haldeman's notes proving that during the 1968 Presidential election, Nixon did in fact, as he always denied doing, sabotage peace talks that could've ended the Vietnam war years early, saving thousands of unnecessary deaths and potentially giving Hubert Humphrey an edge in the election. The lousy reason I didn't vote in 1968 — and why Sanders supporters shouldn't fall for it. I thought there was no difference between Richard Nixon and Hubert Humphrey. I was wrong. I was really, really glad they discussed the Nixon treason. I first learned about that from Christopher Hitchens's book about Henry Kissinger. I forget precisely how, but Hitchens suggests Kissinger was involved in the sabotage of the peace talks, which makes this the first of several reasons Kissinger ought to be sent to the Hague and tried for war crimes. Because the Vietnam war should've ended in '68 and Nixon's treason dragged it on for years after. I was really, really glad they discussed the Nixon treason. Yeah, me too. I wasn't sure how they were going to handle that, but they did just fine. I think I need to take a break from the show for a day. If someone else wants to make the next episode post tonight, go right ahead. In this episode, the filmmakers used a digital editing technique to visibly and obviously change the displayed content of at least one sign from Vietnamese to English, a needless effect that undermines the appeal to veracity on which Burns' archivally-oriented documentary filmmaking rests. The effect was transparently executed, which is good. Several times in earlier episodes, I noticed flopped shots, in which the orientation of the image has been reversed such that legible words are backwards, which I suppose is admissible. The morphed signs, for me, are not acceptable. Before the morphing effect shot, in the opening montage of student protests, I recall seeing a banner with what to me appeared to be a contemporary font, and wondered, huh, is that doctored? Looks like I'm off to do some archival research of my own. I suppose it's salutary to be reminded that we should not trust what we see with our own eyes via mediated channels. The black and white still I referred to above is of a large banner at the head of a march which reads "Stop The War Madness Now!". On searching for other images of the march and banner independently sourced from the show, I found multiple shots of the march and the banner from different angles. The similarity of the banner's lettering to a contemporary font would appear to be coincidental.